Many organizations waste both time and money due to lack of coordination and ar­chitectural view in building and running their executive educa­tion portfolios. Many organizations waste both time and money due to lack of coordination and ar­chitectural view in building and running their executive educa­tion portfolios. They often sponsor a number of overlap­ping initiatives, get excited about flavors of the month, and overindulge by inviting all too many inspirational speakers. How to avoid fragmentation, pocket substantial cost-efficien­cies, and achieve high levels of strategic alignment? Anchor into the context: make sure everyone is familiar with your current culture and standing. It is the only sustainable starting point. Honesty pays off. 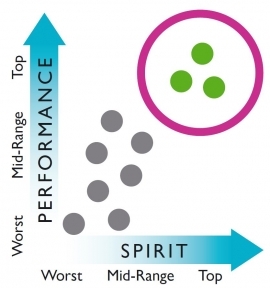 Find your own best prac­tices: in any large organization there are pockets where high performance meets great spirit. Internal benchmarking is a great source of insight. Focus on architecture: many organizations waste significant amounts of money because they don’t coordinate and control ef­fectively. They may become heavy spenders in terms of hir­ing favorite speakers and pro­moting flavor-of-the-month themes with no idea of follow-up, continuity, or expected pay­back. Rely on two distinct cate­gories: often times inefficiencies and resource misallocation hap­pen because of overlapping ini­tiatives and random targeting among management ranks. Eve­ry effective leadership develop­ment architecture makes the difference between career stage -related initiatives and strategy-driven initiatives. The former are run regularly, and can be pol­ished to perfection over time; the latter are intense one-off initia­tives sponsored by top manage­ment, and help to deep dive into the most pertinent strategic themes. Pursue designs with long-term impact: it is relatively easy to stage a “wow” experience. Gener­ating long-term impact is way more difficult. Sometimes many bells and whistles may just distract, and they are always costly. Take it beyond broadcasting: the more senior the participants get, the more allergic to crowd­ed PowerPoint decks they be­come. Doing is the new listen­ing, and innovative action pro­grams will gradually replace many traditional training pro­grams. Set concrete targets: the hu­man resource development dis­cipline is burdened with fluffy concepts and vague definitions. Pick the low-hanging fruits: while keeping the long-term view, it is worth pocketing any available quick wins. People get energized and commit to the long marches, when they see concrete small changes for better in organizational routines, ritu­als, and structures. 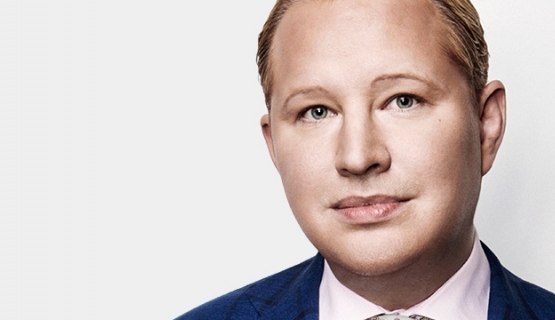 Dr. Pekka Mattila is Group Managing Director, Associate Dean, Aalto University Executive Education and Professor of Practice, Aalto University School of Business. With over 40 years’ experience, Aalto EE assists you in developing and carrying out strategic transformation. The company also helps you plan and implement highly effective executive development solutions and address current and future business challenges. Read more about customized solutions. Currently reading: Aalto Leaders' Insight: How to make sure that your leadership development initiatives deliver?